Chatbots are the future – or at least, they’re very trendy at the moment. Expect to see lots of startups built on top of Slack and Facebook Messenger – or just standalone – over the coming months, fulfilling all sorts of needs. Tara is one such example. 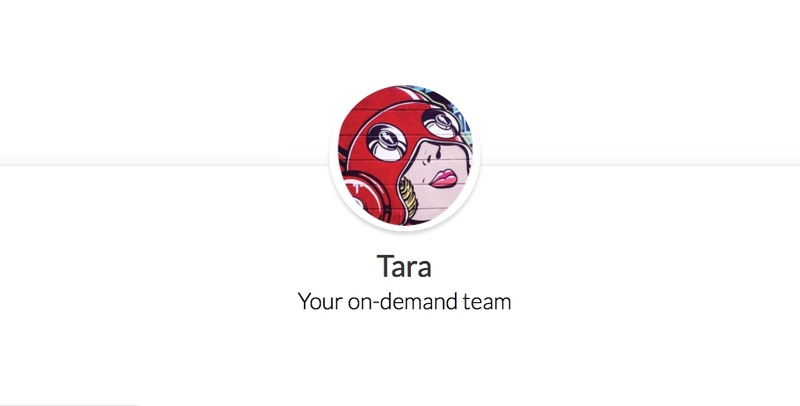 Tara is a Web-based chatbot designed to help small businesses get jobs done that require freelance contractors; maybe building an app or a website, designing a new logo, or even writing blog posts and marketing copy. You simply explain to Tara what you want and and it chats you through your specific requirements. A few minutes later, you should have been given a quote for the work and assigned a contractor (pre-screened by Tara for their abilities) to do the job. Tara is the work of the team behind Y Combinator alum Gradberry, who have reappropriated their software developer recruitment tech for this new approach. The key question is how much of the process is ‘artificial intelligence’ and how much is human controlled. Co-founder and CEO Iba Masood says that it is around 55 percent automation and 45 percent human assistance at present. “A human operator or sales engineer takes over as questions escalate (usually at the tenth question) if the user has queries about the specific type of technology stack that will be used to build their product,” says Masood. You can expect to read a lot of hype and fluff around chatbots this year, but Tara demonstrates the kind of thing that chat-based interfaces can do well. Reducing complicated, confusing processes down to a natural conversation is potentially very powerful.